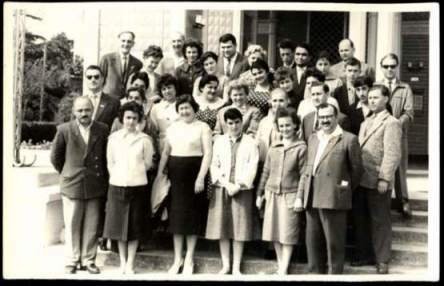 Photograph of the tournament players, their seconds, coaches or trainers assembled for the International Woman's Chess Tournament held in Tbilisi in 1961. Nona Gaprindashvili, in front middle, became the Worlds Woman Champion the following year. Photograph has the signatures of the players and seconds in the picture on the verso. 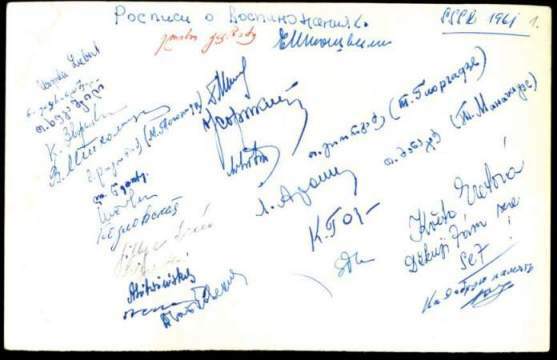 Those which can be identified are Venka Asenova (Bulgaria), Ursula Liebert (Germany) Kira Alexeevna Zvokrikina (Soviet Union), Valentina Yakovlena Kozlosvskaya (Soviet Union), Kveta Eretovea (Czechoslovakia) and T Giorgadze (Georgia, Traniner). The photograph has some light wear in very good condition.